The best food is all about sharing. Whether it's a delicious cake, a plate of tasty tapas or a marvellous, messy pile of mezze, dishes that can be passed around, discussed and enjoyed together beat a solo supper any day. 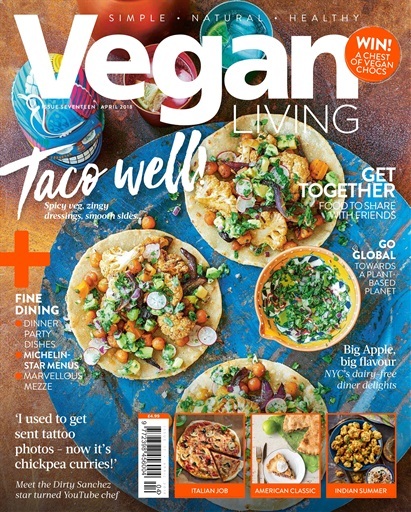 That's why this issue is all about food with friends - dishes you can pile high and hand around, including tapas, middle eastern mezze and Mexican tacos. 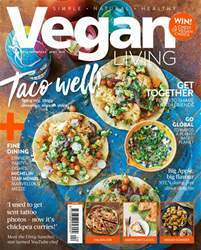 We've gone global this month too, with a look into veganism around the world, plus there's an interview with South African Tammy Fry of Fry's Family Foods, amazing diner style recipes from New York and some easy, inexpensive Italian classics. You can also win a chocolate hamper! Whatever you cook, enjoy every bite!